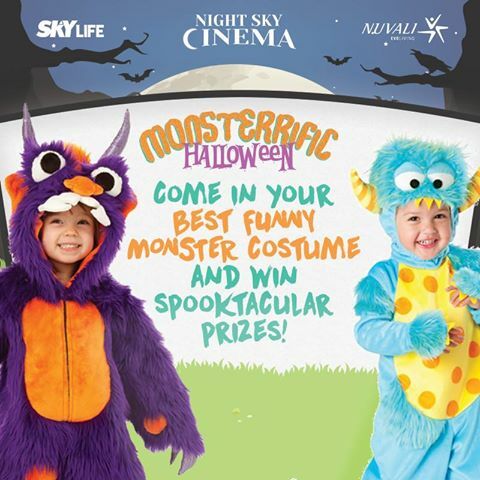 Come and have lots and lots of Halloween fun and excitement as Nuvali brings back Night Sky Cinema, this time with the theme "Monsterrific Halloween!" Watch 2 very exciting and adventure-filled movies this coming October 22, 2016 at The Fields, in Nuvali. Gates will be open to the public at 2PM and admission is FREE! Come dressed in your funniest Halloween Monster Costume, parade around the field and you might win fabulous prices. So remember to mark the date on your calendars! Catch the Halloween outdoor screening of 2 spooktacular and outrageously delightful movies at the Night Sky Cinema Monsterrific Halloween this coming October 22 at The Fields, NUVALI. The first movie shows us that not all monsters (even how different they may look) are bad guys. Monsters VS. Aliens is a 3D Computer-Animated Action Comedy movie released on March 27, 2009 and produced by DreamWorks Animation. It features the voices of Reese Witherspoon as Susan Murphy (Ginormica), Seth Rogen as the living goo named B.O.B. (Benzoate Ostylezene Bicarbonate), Hugh Laurie as the mad scientist Dr. Cockroach PhD, Will Arnett as the prehistoric fish man The Missing Link or simply Link, Kiefer Sutherland as General Warren R. Monger, Rainn Wilson as Gallaxhar, Paul Rudd as news weatherman Derek Dietl and Stephen Colbert as President Hathaway. It was directed by Conrad Vernon and Rob Letterman. It has a running time of 94 minutes. See a monster house come alive at Night Sky Cinema: Monsterrific Halloween! The second movie - Monster House, is another 3D Computer-Animated Horror Comedy movie released on July 21, 2006 with a running time of 91 minutes. It was directed by Gil Kenan and features the talented voices of Steve Buscemi as Horace Nebbercracker, the husband of Constance; Nick Cannon as the police officer who is Officer Landers' partner; Maggie Gyllenhaal as Elizabeth "Zee", DJ's punky babysitter; Kevin James as a police officer and the partner of Officer Lester; Jason Lee as babysitter Zee's punk rocker boyfriend; Kathleen Turner as the 675-pound woman Constance "the Giantess" Nebbercracker; Spencer Locke as the intelligent 12-year old Jenny Bennett; Sam Lerner as the best friend of DJ named Charles "Chowder"; and Mitchel Musso as Dustin "DJ" Walters. Mitchel Musso is best known as Jeremy Johnson, the boyfriend of Candace Flynn, the sister of Phineas and Ferb. Bring treats and tricks for a monsterrific night this Night Sky Cinema! And remember to dress in your funniest costume. Who knows, you might win spooktacular prices! 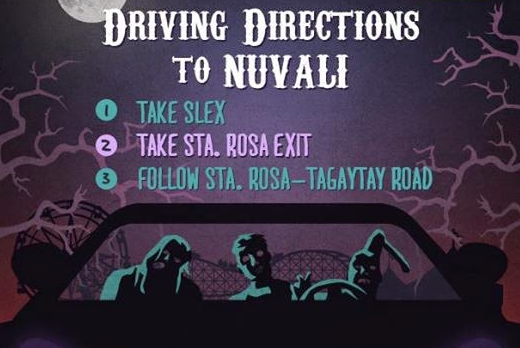 And for those who may need some help going to Nuvali Night Sky Cinema, below are the directions going there. Just follow the multitude of people going there, you surely won't miss it. Come and have a wonderful time with your friends and family this October 22, 2016 at The Fields, for Nuvali's Monsterrific Halloween! Remember, the gates will be open to the public at 2PM and admission is absolutely FREE!